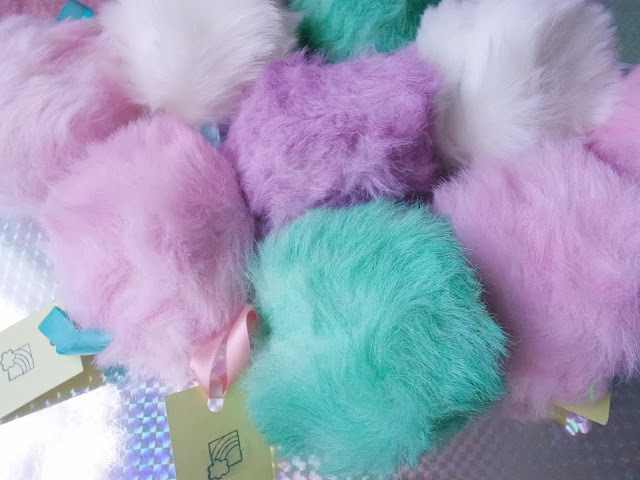 These cute fuzzy pastel pom poms are inspired by one of my favorite Star Trek episodes, "Trouble with Tribbles". 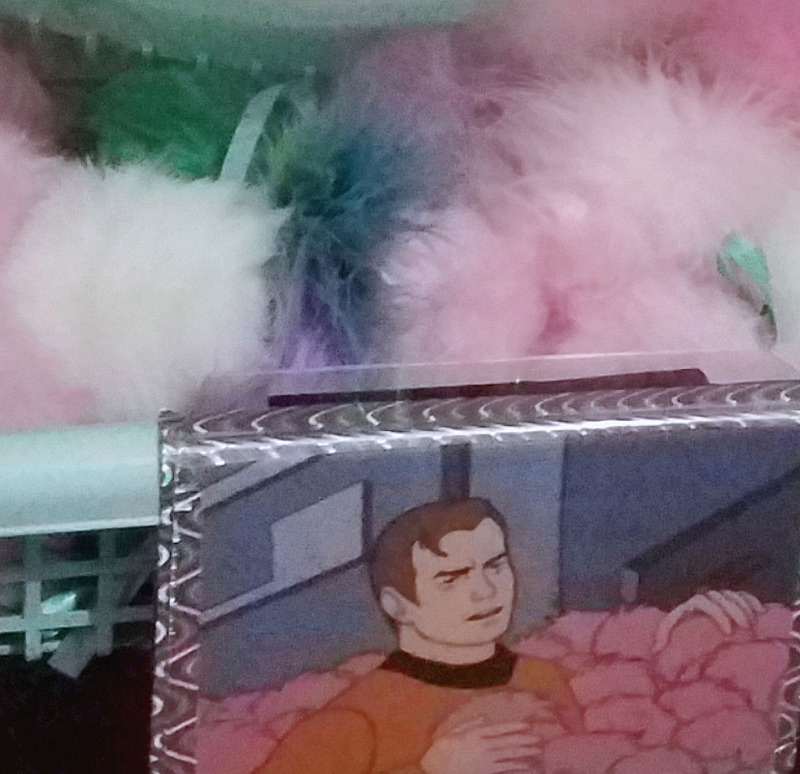 In The Original Series, tribbles are a mousy brown color, whereas in The Animated Series they are pink. Of course, I decided to go with pink and mix in some more pastel tones to the mix. They are currently unlisted in our shop but, are available for purchase; only a handful made! Loving the idea! 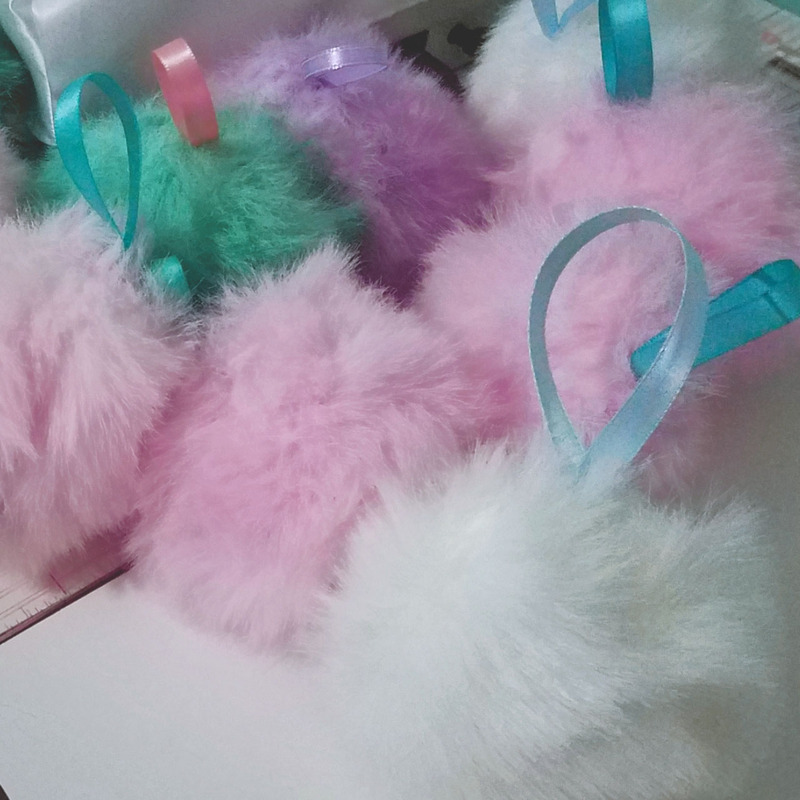 * w * <3 those are so amazingly cute!